~260km/h in the right conditions..
What\'s the top speed of this car delimited? nope in 2012 maybe next year..or in december..
in 2012 audi will launch the new s3...RS3 with a 2.5 with more of 300 bhp..delicious..but cant wait..
By the way, you can verify Porsche performances on Nurburgring track by looking this scan. Mission still isn't completely accomplished. There are some more 2-3 lap time circuits added for the same reason - Mantorp Park, for example. Only two lap times - for Corvette and 997 Turbo - to show how million billion times Corvette Z06 is faster than 997 Turbo. Comon people! No more track tests and lap times for such tracks? If "Auto Motor & Sport" tested Z06 and 997T at Mantorp Park, they, probably, have tested some more cars too. At least I hope so. Otherwise I will delete this track as well. And this is not the only one 3-time track left in our list. that is what I wanted.... remove all that 1, 2 or 3 cars laptime tracks that were only added to prais the Z06... mission acomplished. 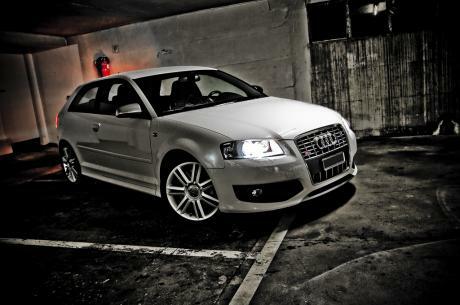 The Audi S3 time was for the Nürburgring F1 GP track "Kurzanbindung" layout. S3 lap time may be correct but it does not matter now - I already removed Nurburgring F1 course from site. Only because it did not have enough lap times. If a track has only one lap time then it's useless. Ah, btw, don't apologize for your English. I am also not American or British. I am Latvian. I agree with yor solution, but in my opinion S 3 laptimes was correct. If you look at Z 06's corner and straight speed, you'll realize the problem is the driver. It's no a new situation, sometimes the tester has no familiarity with car and circuit, so the laptimes are unusefull. Top Auto, an italian magazine, published a test of 911 turbo and gt 3 in the same nurburgring configuration of Z06 test. So i can compare the different corner and straight speed and i can realize that Corvette is very far to limit. The driver wasn't very good. GT 3 and turbo run with a DTM driver and laptimes is what you expect from that cars. I think the best solution would be to remove Nurburgring F1 Course because it has only 2 lap times and even those two are suspicious. Audi S3? Are you going to let this? 3 seconds faster??? Yes, you are right, Marco. Configuration shown in that reference page is clearly not compleate F1 loop. So I renamed the track "Nurburgring F1 Circuit (short)". 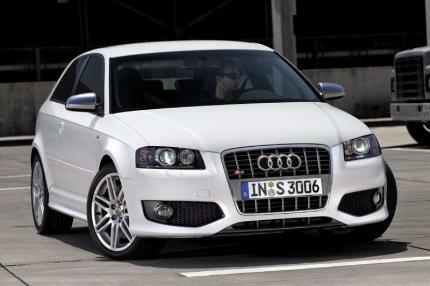 It is possible that Audi S3 run even shorter configuration. 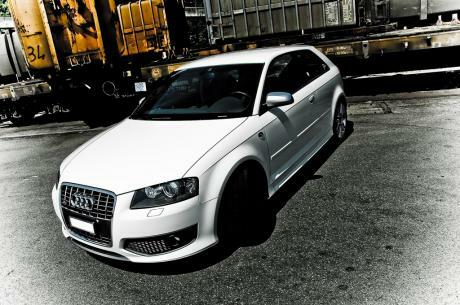 It would be nice if Georg could scan that Audi S3 track test for us. Z06 run in the short track, you can verify this by looking on the link. Do you really think thath a stock Corvett is only 25 second slower tha a F 1 car??? A gallardo standard ran in 2:23 in the full track, MV Agusta 1000 in 2:13. Do you think Z06 coould do 1:55. See the layout of the track in the magazine website and you'll understand is the short track (abouto 3,6 km). 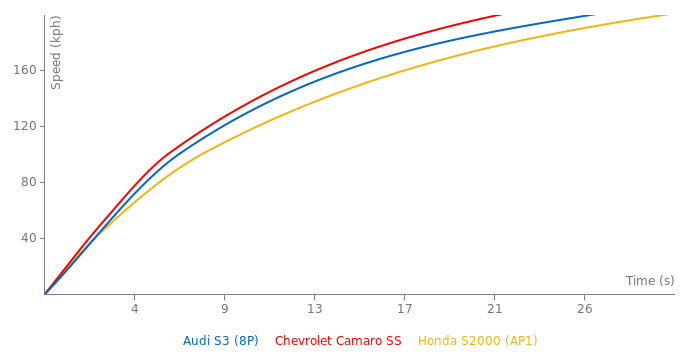 So, the Z 06 can't be slower than S 3. The driver of Z06 was very far from car's limit. Z06 ran the full F1 track. It was very close to the Aston Martin DBR9 race car who was faster by fractions of second. DBR9 was deleted. Are you guys serious about having the Audi S3 faster than C6 Z06??? For stock car they use a different Nurburgring configuration, much shorter than F 1 track. Probably drove a slightly shorter version of the track. This is very weird. S3 faster than C6 Z06. Please provide a proper reference link. Otherwise lap time for Balocco will be deleted.